The boarding house is a type of short-term or long-term accommodation. The apartment can be rented for a few days, weeks or even months. The advantages include the fact that the apartments are rented directly from the owner, without commission. The owner also provides all services related to the apartment rental in the boarding house. Boarding houses are common, for example, in the UK, USA, Canada, and Australia. Boarding houses also provide more comfort and privacy than classic hotels. 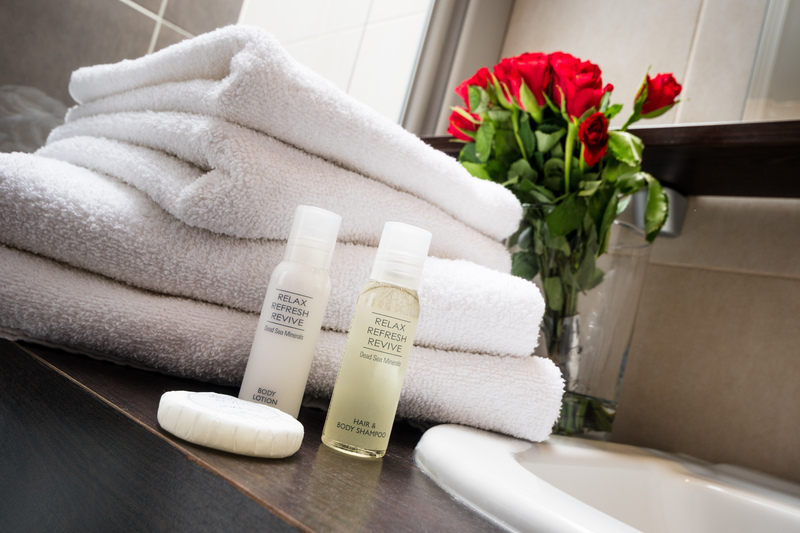 The Albertov Rental Apartments Boarding House offers all services you need for staying in the centre of Prague. The apartment rental in the Albertov Rental Apartments Boarding House is comfortable and without commission. 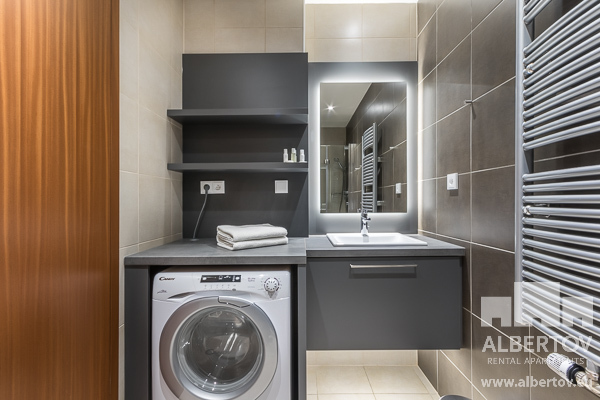 In the Albertov Rental Apartments Boarding House, you can use the reception, the 24/7 Emergency Service, and cleaning and other services that will make your accommodation in the city centre more comfortable whether you rent an apartment for a short term or a long term. The apartments have quality custom-designed furniture with ample storage space. 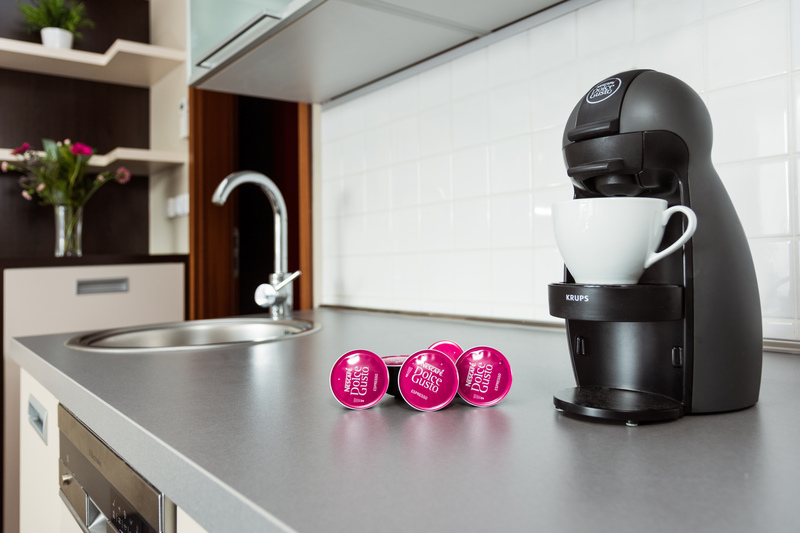 There are also high-quality and economical appliances in each apartment, including a dishwasher, washing machine, and dryer. 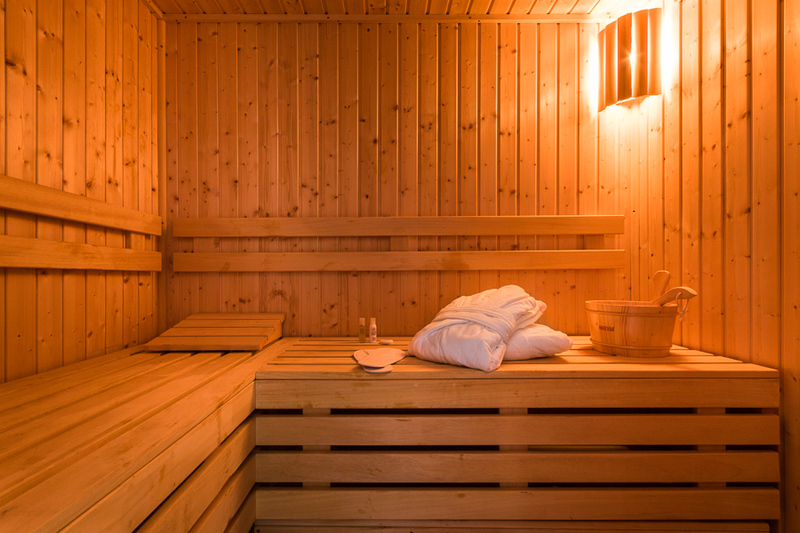 Selected apartments also have a sauna, an ethanol fireplace, or a vinotheque. 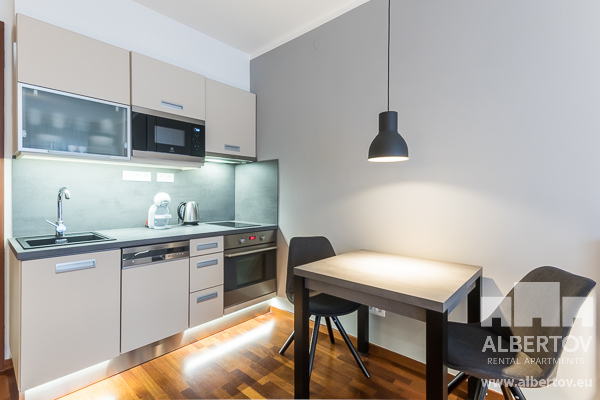 In the Albertov Rental Apartments Boarding House, you will find underground parking and a shopping centre, including a restaurant, supermarket, opticians, medical supplies store, kitchen studio, and an ATM. The Albertov Rental Apartments Boarding House is located in the centre of Prague, close to the historic sight of Vyšehrad. This part of the city, Prague 2, has excellent transport accessibility: the Albertov tram stop is directly in front of the Albertov Rental Apartments complex. The Karlovo náměstí Square metro station is about 10-minute walk from the complex. 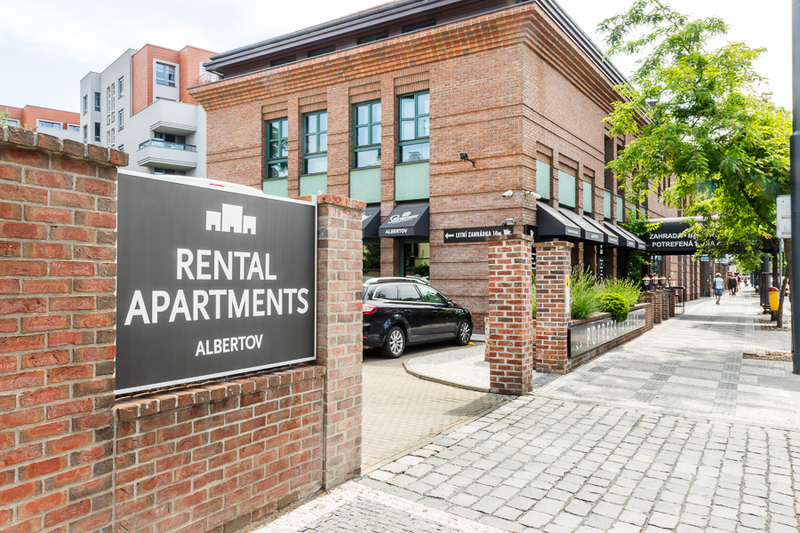 Rent an apartment rental in the Albertov Rental Apartments Boarding House, and enjoy exceptional comfort, safety, and services. Come and see for yourself that the accommodation in the Albertov Rental Apartments Boarding House in the centre of Prague is unique and exceptional. The Potrefená husa restaurant is part of the shopping centre located on the premises of the Albertov Rental Apartments complex, and you can enjoy its great Czech and international dishes at home. Choose from the restaurant menu (www.phalbertov.cz/en/) and place your order by phone. The delivery service to your apartment is free of charge. In summer, you will appreciate the pleasant restaurant terrace where you can enjoy regular barbecues.